If my years of watching schlocky horror films have taught me anything, it’s that surviving a zombie apocalypse requires determination, good aim and, above all else, teamwork. With those things in mind, it really shouldn’t have come as a surprise that my first foray into Killing Floor 2 with Ian Higton ended in disaster. 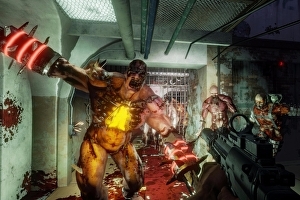 To its credit, Killing Floor 2 is a fun (albeit slightly incoherent) team-based shooter; it’s just that Ian and I struggle to cooperate at the best of times, let alone when facing waves of naked zombies. Click the video above for gross monsters, stunningly bad teamwork and a rifle-wielding reverend in a mortar board. Obviously. 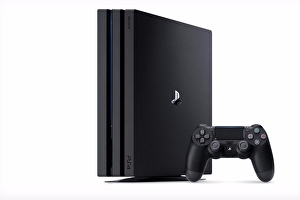 Over 30 games will support PS4 Pro when it comes out on 10th November. The list of PS4 Pro-enhanced games includes the likes of Battlefield 1, Call of Duty: Infinite Warfare and Uncharted 4. More than 45 games will be optimised by the end of the year, Sony said, including Final Fantasy 15, The Last Guardian, Killing Floor 2 and Watch Dogs 2. Also getting PS4 Pro support in early 2017 are Nioh, Resident Evil 7 and For Honor. Steam Early Access hit Killing Floor 2 launches for PC and PlayStation 4 on 18th November, priced £29.99. 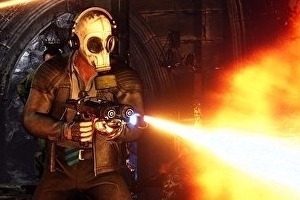 The co-op shooter promises “visceral gore”, a “high-powered persistent blood system bringing new levels of fidelity” and the ability to “send entrails, severed limbs and blood flying”.